2016! Where did 2015 go? And how did 2015’s resolutions work out? Setting goals is an important thing to do … and if you were successful, you should be proud of yourself. If not, turn the page and start over in the new year. So, what will your resolutions be this year? Whatever they are, make sure that making and sticking to a financial budget is at the top of the list. How about any holdover holiday debt? Getting out of debt will be a big weight off your shoulders, but how do you do it? First, start with a budget – use the following steps to create your best budget yet! 1. First, budgets are a necessary evil. 2. 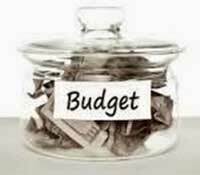 Creating a budget generally requires three steps. Identify how you’re spending money now. 3. Use software to save grief. Use a personal-finance program such as Quicken or Microsoft Money; the built-in budget-making tools can create your budget for you! One drawback of monitoring your spending by computer is that it encourages overzealous attention to detail. Once you determine which expenses can be cut (or expanded), concentrate on those categories and worry less about other aspects of your spending. 5. Know your Money Speed Limit – Is cash “leaking” from your account? If withdrawals from the ATM machine evaporate from your pocket without apparent explanation, it’s time to keep better records. And if you find yourself returning to the ATM more than once a week or so, you need to examine where that cash is going. 6. Spending beyond your limits is dangerous. But if you do, you’ve got plenty of company. Government figures show that many households with total incomes of $50,000 or less are spending more than they bring in. This doesn’t make you an automatic candidate for bankruptcy – but it’s definitely a sign you need to make some serious spending cuts. 7. Beware of luxuries dressed up as necessities. Is it a “Need” or a “Want”? Some of your spending is probably for luxuries – even if you’ve been considering them to be filling a real need. (Do you really need that expensive Latte every day?) It might be time to get honest and make some cuts. Plus, as it accumulates, the money you save may be worth the sacrifice. 8. Pay yourself first. 10% if possible. 9. Don’t count on windfalls. When projecting the amount of money you can live on, don’t include dollars that you can’t be sure you’ll receive, such as year-end bonuses, tax refunds or investment gains. Here’s one more to add to the list: inheritances. There are no guarantees in life. As your annual income climbs from raises, promotions and smart investing, don’t start spending for luxuries until you’re sure that you’re staying ahead of inflation. It’s better to use those income increases as an excuse to save more. Here’s another tip: If you’re doing cartwheels because the price of gas has come WAY down in recent months, better to bank the savings than to go on a spending spree. Low gas prices are not forever. Finally, after you’ve tackled your budget, put your focus on consolidating outstanding debt into one easy, more-affordable payment. Are you paying 20%+ interest on credit cards? Apply for our balance transfer VISA and get those payments taken care of faster and cheaper. Click here for details!